Welcome to Z-Ultimate Self Defense Studios – Premier Private and Group Martial Arts Lessons in Karate, Kung Fu and Jiu Jitsu for Adults, Teens and Kids. Most dojos (Japanese term for "school" or "training hall") offer group classes only. What makes us unique is our Dynamic Mastery Method of Instruction™ - world-class private instruction combined with age-specific group classes. This format allows us to customize our programs to fit your age, skill, physical abilities and goals. This combination also allows students to learn and earn belt ranks at their fastest, most efficient speed instead of only learning as quickly as the slowest person in the group. "Ultimate" Kenpo is a blended style that takes the "best of the best" from Karate, Kung Fu and Jiu Jitsu and combines it into one system that works in almost any situation and is adaptable to any body style. This combination of the Classical, Practical and Tactical aspects from each style forms a system that teaches you how to defend yourself on your feet or on the ground; empty-handed or against a weapon. In addition to our ability to customize our program to fit your unique needs, goals and abilities, our classes are also separated by age. While many dojos mix age groups, we separate ours so we can tailor the instruction to the needs of each age group. With Z-Ultimate, the focus of the training and how the material is taught is different, depending on the age of students. Our location is safe, clean and family-friendly with a warm, inviting atmosphere. Our dojo is a place where students of all ages and skill levels can come together and feel comfortable pushing themselves to be their best. Over time, many students and parents come to view the structured environment of the dojo as a home-base as they discover the benefits of martial arts training. Our adult karate classes teach invaluable, life-saving skills and get you what we call, "functionally fit". Along with the many physical benefits of training, you will experience a growing sense of calm and confidence that comes from pushing yourself past old, limiting beliefs about who you are and what you are capable of. With an increased level of focus, drive and self-discipline, you will see improvements in other areas of your life, too. From former athletes looking for new challenges, former Military, busy executives and business owners to working parents, stay at home parents, Baby Boomers and even grandparents - our program is one of the most challenging and rewarding things anyone will ever do. The #1 gift a parent can give their child is something our Karate for Kids program instills in every one of our students - confidence. By developing self-confidence, children learn to be resilient; they develop mental and emotional toughness along with an, "I-will-never-quit" mentality. Our program will also develop their focus, listening skills, body control, balance, coordination, motor skills and social skills. Our training helps children with hyperactivity, physical challenges, behavioral issues, learning disabilities and other traits that may have held them back in the past. A common misconception is that putting a child in our program will make them aggressive or turn them into a bully. The reality is our program helps get children into balance. Bullies learn empathy, shy children come out of their shells socially and hyperactive children become more calm. Because we offer a combination of private and group training, our program is easy to fit into any busy schedule. Private lessons are available by appointment so you can schedule them any time. Group classes are offered six days a week. For convenience, you can pick a set time each week for your private training, so it is easy to schedule and remember. For group training, you can pick the same class times each week or vary the times if it is easier on your schedule. The best way to truly understand the power of self defense training is to experience it for yourself. Many people are unsure if our program is for them, if it will really help them or their child, or if they have what it takes to earn a Black Belt. This is why we created the Free 30 Day Test Drive with No Cost, No Obligation. We want you to be able to see for yourself - and FEEL for yourself - what it is like to experience the power of personalized classes. Take a moment and fill out the form below; from there you will be taken to a form where you can schedule your first class online. After you register for your first class, you will be contacted by someone from the studio and you will get an e-mail confirmation, along with some pointers for your first visit. Thank you - we look forward to meeting you! Z-Ultimate Self Defense Studios is rated 4.3 out of 5 based on 46 reviews from around the Web. 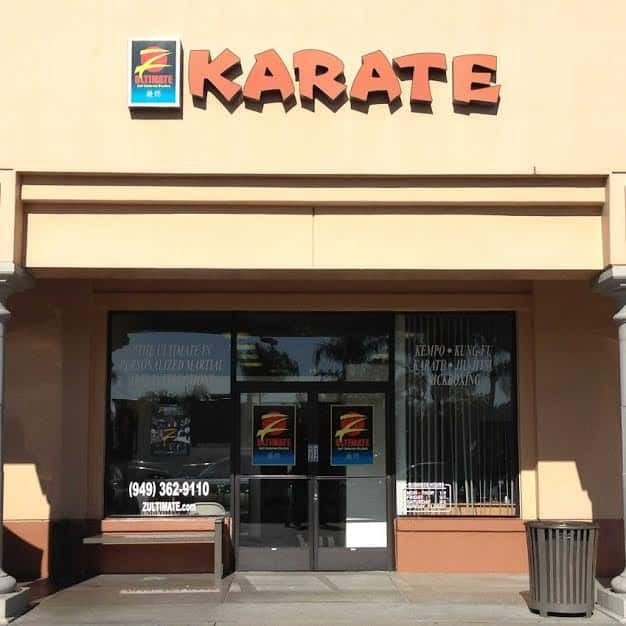 This is a great place for kids to learn Karate, discipline and respect. We love Z Ultimate!!! My son has been a student for about 6 months and has learned so much in such a short time.